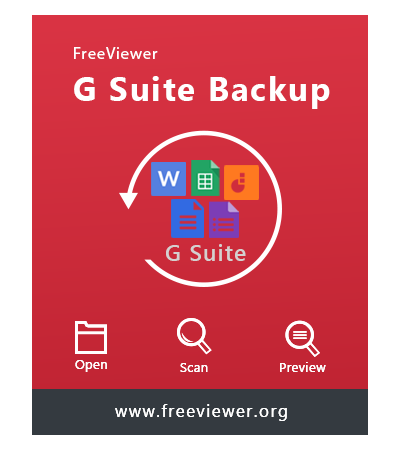 FreeViewer G Suite Cloud Backup is a reliable experts recommended utility to download and export G Suite emails including contacts, calendars, attached files, and other data to local storage. The tool smoothly exports Google Apps data into PST, EML, MBOX and MSG file formats. G Suite Backup software permits users to download complete data of G Suite account such as emails, contacts, & documents and store it to the local machine. All of these items are stored in the most commonly used file formats. For example, emails are stored in PST, EML, MBOX, etc., contacts are stored in vCard or calendars as .ics format, etc. In addition, it preserves all the associated Meta properties like to, from, home address, calendar recurrences, email address, meeting alerts etc. EML: This allows users to migrate from Google Apps to Windows Live Mail, Outlook Express etc. PST: This option is used to perform G Suite migration for Microsoft Outlook. MBOX: This option is used to add Google Apps to Apple Mail, Entourage, Thunderbird, etc. The Google Apps to Thunderbird Migration tool also provides an option to download the last revised version of G Suite documents such as documents, spreadsheets, documents, etc., into MS Office supported format. For example, save Spreadsheets in XLS format, documents in DOC, presentations in PPT etc. G Suite Backup tool is the best tool as it works without compromising original formatting and data integrity. Backup Single User Account: Here, a user needs to enter the username and password of a single user account in order to move Google Apps mailbox to local storage device. Archive Domain User Account: In order to backup multiple user account data from a single domain, a user needs to provide the Admin credentials. In order to free up some storage space on the cloud, a user can use Delete After Download option. This is helpful when the cloud data storage limit has reached its maximum. While adding Google Apps to Apple Mail or any other email application one can check this option. The G Suite Backup Software will delete all the data after archiving to the local machine and free up storage space for future use. While archiving or exporting G Suite data, the Google Apps to Outlook Migration software provides various filtering options. A user can define the name of email folder like inbox, outbox, etc., in comma-separated value to backup selective folder of Google Apps or G Suite account. In addition, if a user wants can specify date range also to move data from specific time interval. While moving mailbox data, the Google Apps to Thunderbird migration tool shows the live progress report containing details like username, calendar count, email count, contact count, document count & status. This small summary report will help users in tracking the progress and estimating the total time of downloading G Suite data. In order to have a successful backup of G Suite account with the G Suite Backup software, a user needs to have a smooth internet connection. However, if the internet connection gets interrupted in between due to any reasons, one can use these "Pause" and "Resume" options. This will help users in resuming the process from where it droped off. Also, if the internet connection suddenly disconnects, it will automatically get into Pause mode. Trial version of G Suite Email Backup Tool Allows User to Export 100 emails and 25 other items. Any version of MS Outlook (32-bit & 64-bit) must be installed to run the software. .NET framework 4.5 or above version must be installed. 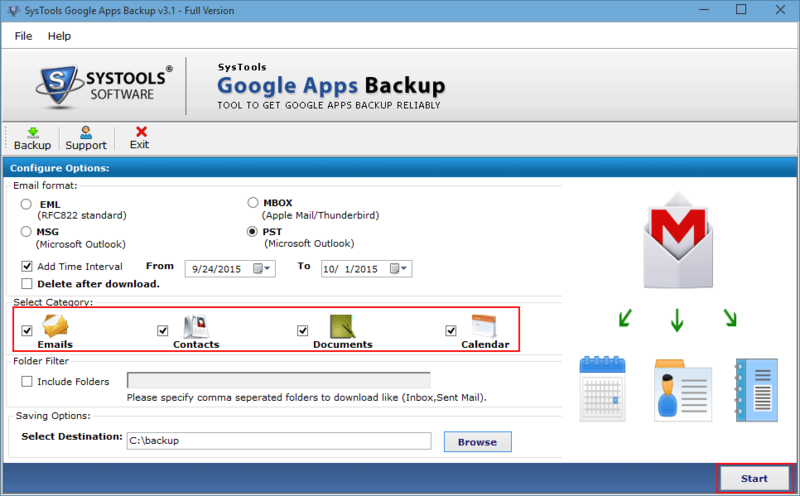 Can I use this Google Apps Backup tool on Mac OS also? No, a user cannot use this G Suite Backup tool on Mac OS machine. It is a completely Windows-oriented tool. Is it necessary to have Outlook to export Google Apps data to PST format? Yes, Outlook installation is necessary to perform Google Apps to Outlook migration. Does the Google Apps Email Backup software maintain folder structure after backing up the data? Yes, the G Suite Mailbox Backup software does not violate folder hierarchy even after downloading data on the local machine. Is it necessary to enter G Suite credentials to backup data? Yes, Google Apps cloud backup tool requires user to add username and password of single or domain user account to backup G Suite data. 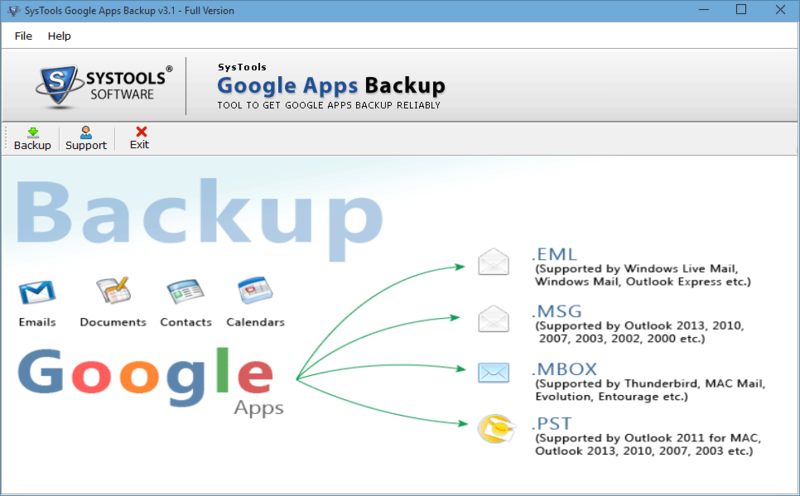 Can I backup specific folder from Google Apps account mailbox using this G Suite Backup Software? Yes, a user can filter the data for downloading. One just needs to specify the name in comma-separated value, the Google Apps Backup Software will backup that folder only. 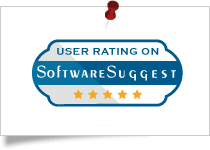 "I was looking for the utility that can help me in migrating all Google Apps accounts of my organization to Outlook. After a very long search, I came to know about this G Suite Backup Tool. I must say that user interface of the tool is so simple and easy to use that I have migrated all account in just a few number of clicks. Thanks to this software for a great help." "The best part of this tool is that it provides me an option to backup mailbox data in multiple formats. Therefore, it becomes easy for me to download all data in MBOX format. Now, I can access this MBOX file any of the supporting email application. Hats off to the development team for creating Google Apps Backup Software. Completely satisfied with this tool." FreeViewer Gmail Backup Tool helps user to backup Google Gmail account data in bulk to multiple formats. Last, save Google Apps / G Suite Data into PST, MBOX & EML Format.